It is until just 28 days after birth that a baby is called a newborn and this is the most vulnerable period of a baby’s life. 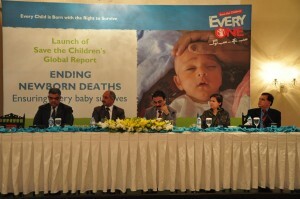 The recently launched global report of Save the Children “Ending Newborn Deaths: Ensuring Every Baby Survives” quotes some heartbreaking facts and figures about newborn survival worldwide as well as in Pakistan. The report recognizes that under 5 years mortality has been halved over last couple of decades but points towards a global crisis that has faced sheer neglect and inequity and that is the newborn survival. The global trends of newborn mortality have plateaued in comparison to the declining under 5-year mortality. Out of the current 6.6 million under 5-year deaths, 2.9 million happen during the first 28 days of life. Even more disturbing is the fact that 1 million out of the 2.9 million newborn deaths occur on the day of birth; these do not include 1.2 million stillbirths (deaths of babies occurring during the process of delivery/birth). The report has also highlighted stillbirths as an important newborn survival issue which has been severely under-reported and neglected and was not even included in the targets set by Millennium Development Goals. With the highest rate of intra-partum deaths (stillbirths) and first day deaths of newborns, Pakistan is ranking painfully on top of the list of countries having high newborn mortality. No wonder why the Pakistan Demographic and Health Survey in 2013 also reported a frozen newborn mortality rate in the country over last couple of decades. 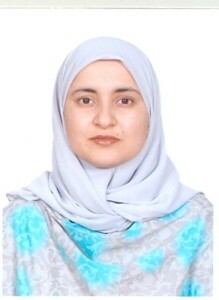 The relative proportion of newborn deaths out of the total under 5 years mortality has reached the maximum range of 63% indicating a pitiful failure of the development sector in tackling this challenge in Pakistan. The report reflects on the causes of newborn deaths which are mostly preventable using low-cost, low-tech proven solutions. Looking at the causes of newborn mortality, it is very evident that majority of these require intervening during labour and right after delivery which can only be possible once every birth is attended by a skilled birth attendant. Lack of universal coverage of skilled birth attendants is an important grey area. The report has clearly indicated the inequity of newborn mortality and linked that with the inequities around skilled birth attendance between and within countries around the world. Close to half of births in sub-Saharan Africa and South-East Asia are not attended by a skilled birth attendants and the newborn mortality pattern is also higher in these regions. 950,000 newborn deaths can be prevented each year if essential health services are more equitably distributed. This would reduce newborn mortality by 38%. Recognizing the importance of this critical health service, the report also underpins associated challenges for health systems to ensure universal coverage of skilled birth attendants. Unlike child health services, the timings for this life-saving intervention must span over 24 hours a day, 7 days a week. The list of 8 essential health-worker interventions around birth is nothing new; almost all of these interventions have been advocated globally and in Pakistan since more than a decade. 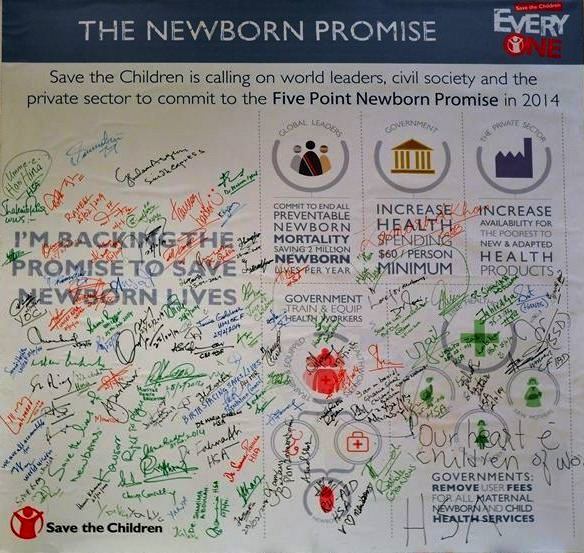 A lot of them were there in the Karachi Declaration and Lahore Declaration where a range of stakeholders including the public sector committed to scale-up of best practices and reducing child mortality. The only missing element is our commitment to action and prioritizing this critical public health issue. The private sector, including pharmaceutical companies, should help address unmet needs by developing innovative solutions and increasing availability for the poorest to new and existing products for maternal, newborn and child health. This report is bringing movement in the static corridors of public health policy and planning in the country. It is about time that our policy makers are sensitized of this crisis situation and modify their policies and plans in light of the available global and national guidance. This silent crisis has not evolved over any particular political regime, the data is shouting hard to uncover the decade’s long negligence. We are looking forward to a logical standpoint taken by our policy makers rather than reverting to political blame games. We will continue our efforts through targeted advocacy, building partnerships, innovating solutions and taking them to scale for preventing newborn mortality in the country. Our call is to join hands and look back upon our failures to learn lessons and plan more carefully so that our endeavors meet the desired results and we can become the generation to end all preventable child deaths. I disagree with FS’s comment above. I strongly believe that we need to address and trace why so many deaths are occurring among our children. I also think that one common question policy makers are wary of are where will these resources come from? And I do believe that we need to create a stronger and a robust system of taxation which will ensure that this does not occur. Another list Pakistan has topped! This is shameful and as the author says ‘heartbreaking’. Where other countries have made great strides, we have failed to invest in our human resource. I 100% agree with the author. This is an emergency in the country that so many of our children are dying and all our policymakers seem to be interested n political matters. The NGOs and the civil societies are delivering their roles, it is now time for these policy makers to take action. they have enough data and now need to focus on how the solutions could be optimized. Tahnk you for sharing this Save the Children. However I do feel that Save the children must also realize the other emergency and that is of the burgeoning population. Otherwise our resources will get depleted very fast!